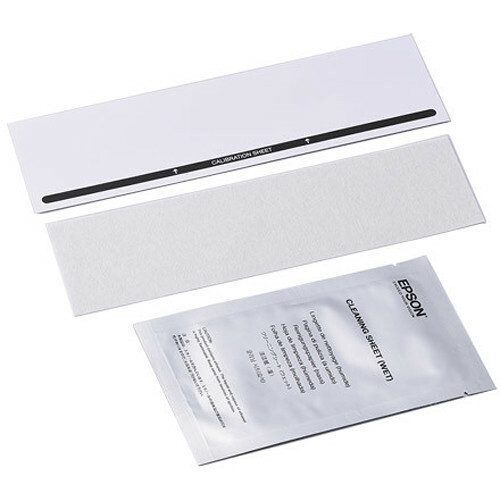 Designed to clean and maintain select Epson WorkForce and DS Portable Scanners, this Maintenance Sheet Kit 2 from Epson helps keep your scanner running smoothly and efficiently. The calibration sheet is designed to be used when the scanned image is blurry, the color differs from the original, the density differs from the original, or vertical lines appear in the scanned image. Additionally, the wet and dry cleaning sheets allow you to easily clean the inside of the scanner, ensuring your scanner yields the best possible results. Box Dimensions (LxWxH) 11.25 x 6.1 x 0.2"